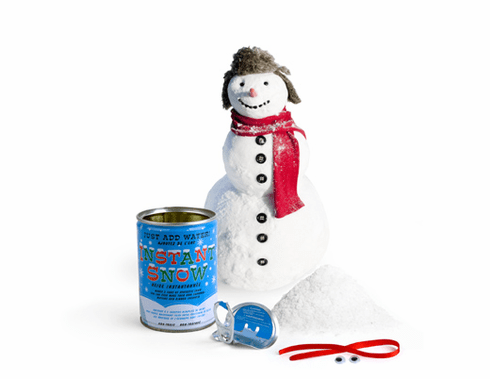 Kikkerland's Instant Snow brings winter-time fun to you in a can - just add water. Comes with googlie eyes and a red ribbon scarf. Can be used again and again by adding water and reshaping. Great for Christmas in July parties. Makes 18 ounces of snow.